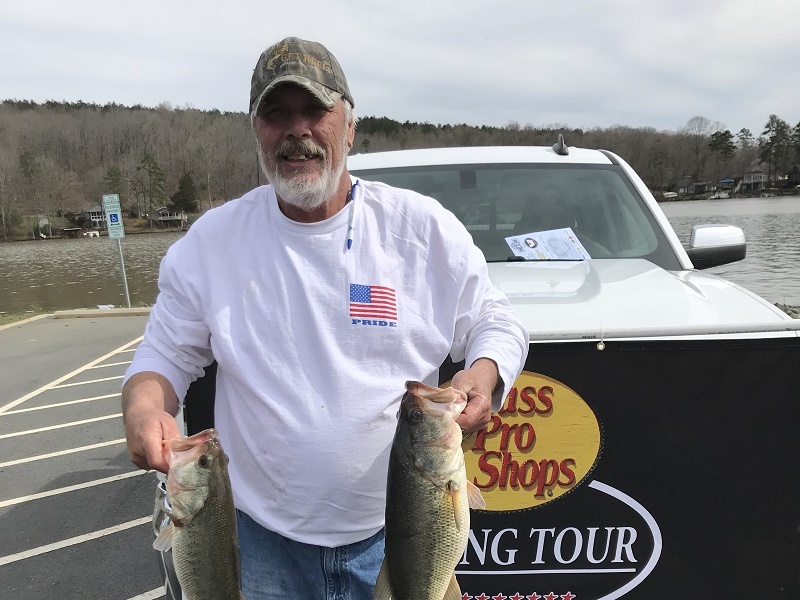 Lance Eckford of Troutman, NC is one step closer to the Bass Pro Shops Fishing Tour National Championship with a first place win on Lake Tuckertown this past weekend. Eckford weighed in five bass, which weighed 18.92 pounds. Second place went to Matt Stark of Mooresville, NC with five bass weighing 13.91 pounds. Third place went to Brent Walser of Lexington, NC with 12.56 pounds. 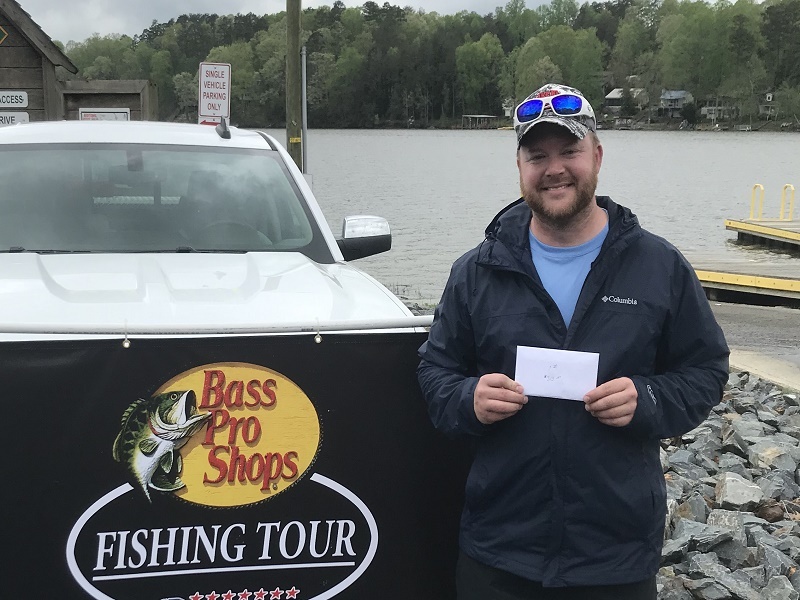 Athens, Al - Jarred Pharr of Mint Hill, NC won the Bass Pro Shops Fishing Tour division 14 tournament on Badin Lake in New London, NC with five fish weighing 17.65 pounds held on 04/14/2019. Billy Sipe of Albemarle, NC is one step closer to the Bass Pro Shops Fishing Tour National Championship with a first place win on Badin Lake on 03/16/2019. Sipe weighed in five bass, which weighed 16.31-pounds. Second place went to Don Sprinkle of Lexington, NC with five bass weighing 12.70-pounds. Third place went to John Orchard of Winston Salem, NC with four bass weighing in at 10.01-pounds. Fourth place went to Brent Walser of Welcome, NC with 3 bass weighing in at 8.20-pounds. Congratulations to our lucky winners. 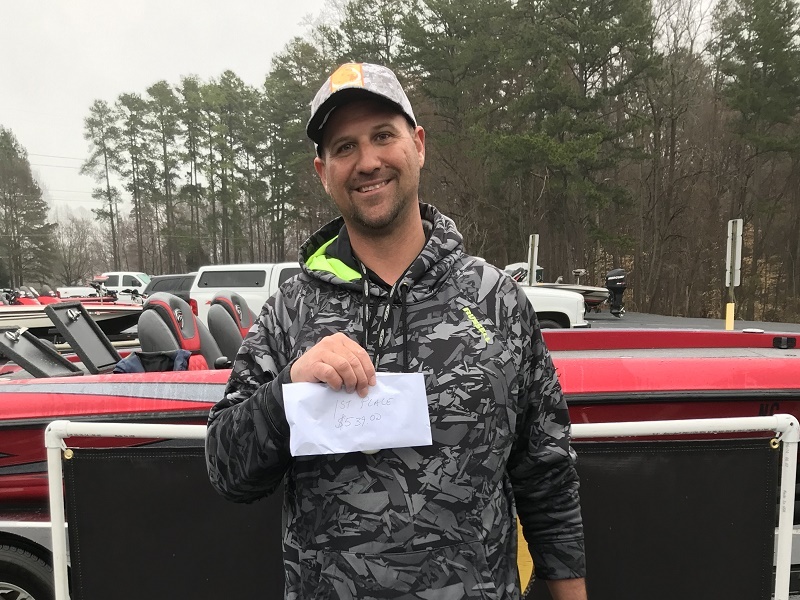 Brian Morgan of Newton, NC is one step closer to the Bass Pro Shops American Fishing Tour National Championship with a first place win on Lake Norman on 03/3/2019. Morgan weighed in five bass, which weighed 14.29-pounds. Second place went to Mike Langford of Yadkinville, NC with five bass weighing in at 10.72-pounds. Third place went to Matthew Stark of Mooresville, NC with five bass weighing 10.12-pounds. Fourth Place went to Craig Chambers of Harrisburg, NC with five bass weighing in at 9.73-pounds. 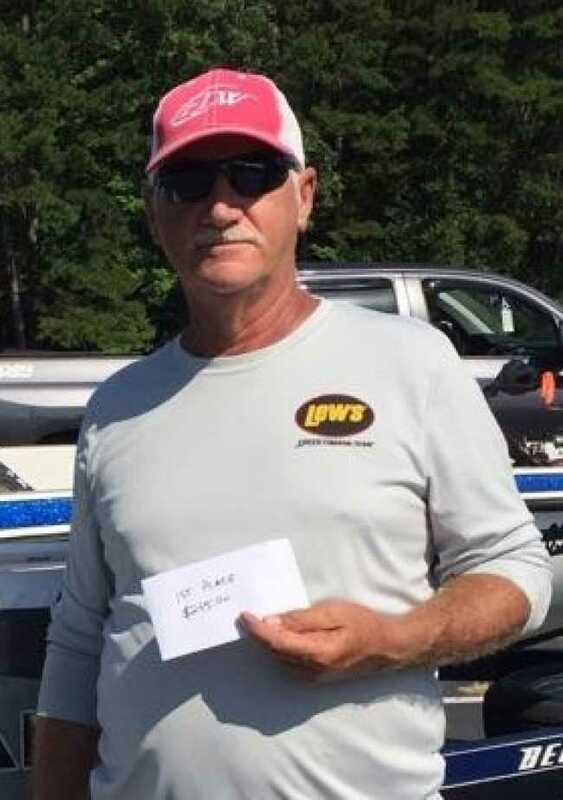 Garry Rogers of Statesville, NC is one step closer to the American Fishing Tour National Championship with a first-place win on Lake Norman this past weekend. Rogers bested the field by weighing in five-bass, which weighed 11.35 pounds, worth $432.00. 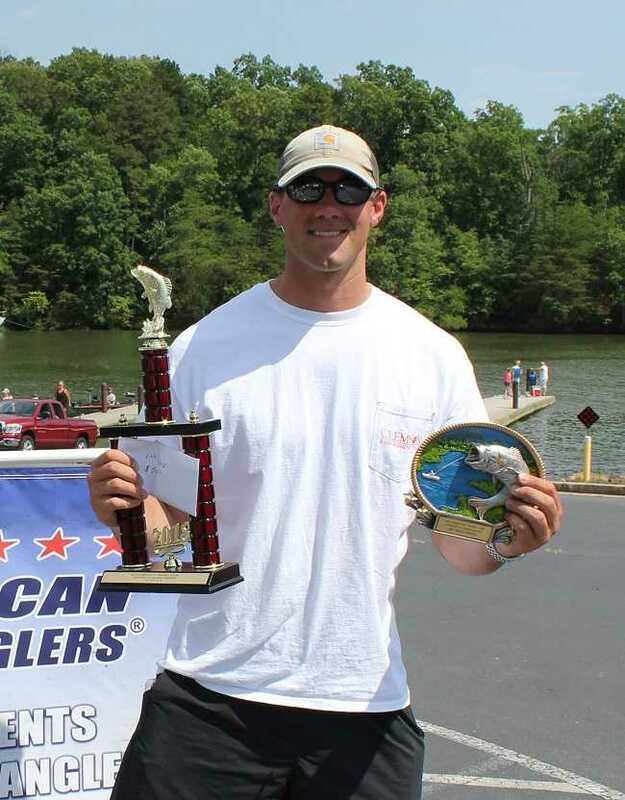 Athens, Al - Reid McGinn of Fort Mill, SC won the American Fishing Tour division 14 Championship tournament on Lake Norman in Mooresville, NC with ten-fish weighing 25.06-pounds held on June 2nd and 3rd 2018. It was hot and muggy throughout the two-day championship on Lake Norman, with mostly sunny conditions and light and variable winds. A field of 18 anglers turned out to fish and face yet another change in the weather and fishing patterns. The heavy downpours throughout the two weeks preceding the championship had the lake level full to the brim with lots of debris floating down the lake from the effort to control the massive amounts of water dumping into the river system. 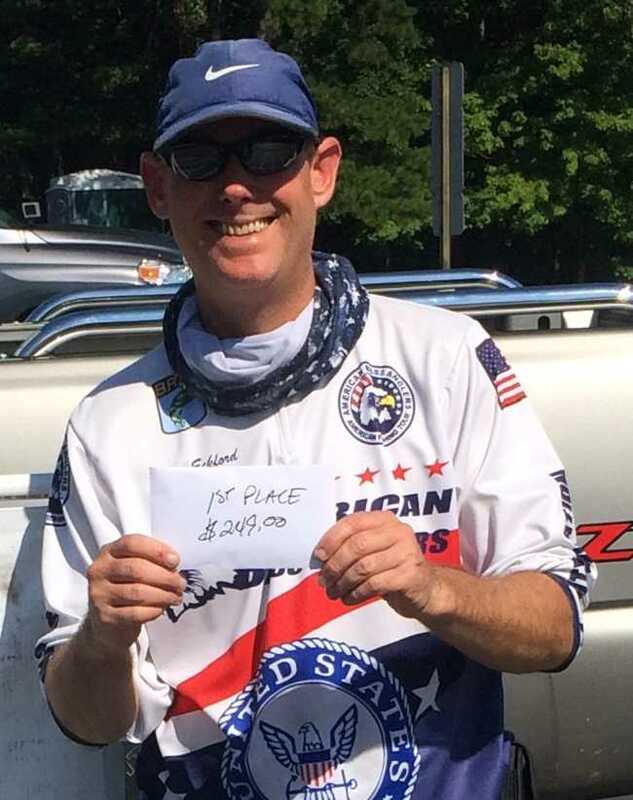 Athens, Al - Reid McGinn of Fort Mill, SC won the American Fishing Tour division 14 tournament on Lake Norman in Mooresville, NC with five fish weighing 8.94 pounds held on 05/12/2018. Athens, Al - Kevin Thomas won the American Fishing Tour division 14 Championship on Tuckertown Lake in Richfield, NC with five fish weighing 18.00 pounds held on April 15th 2018. Sunday’s event was threatened by a looming cold front that promised to bring severe thunderstorms and significant winds, but thankfully the weather held off until late afternoon, long enough for the field to get almost a full day of fishing in without interruption. Athens, Al - Brad Zeigler of Matthews, NC won the American Fishing Tour division 14 tournament on Badin Lake in New London, NC with five fish weighing 16.26 pounds held on 04/14/2018. It was a great morning on Badin Lake with temperatures in the upper 40’s and winds out of the SSW at 5 to 10 mph. Conditions had been steady throughout the week and temperatures topped out in the upper 70’s in the afternoon with partly sunny skies and winds at 10 to 20 mph. 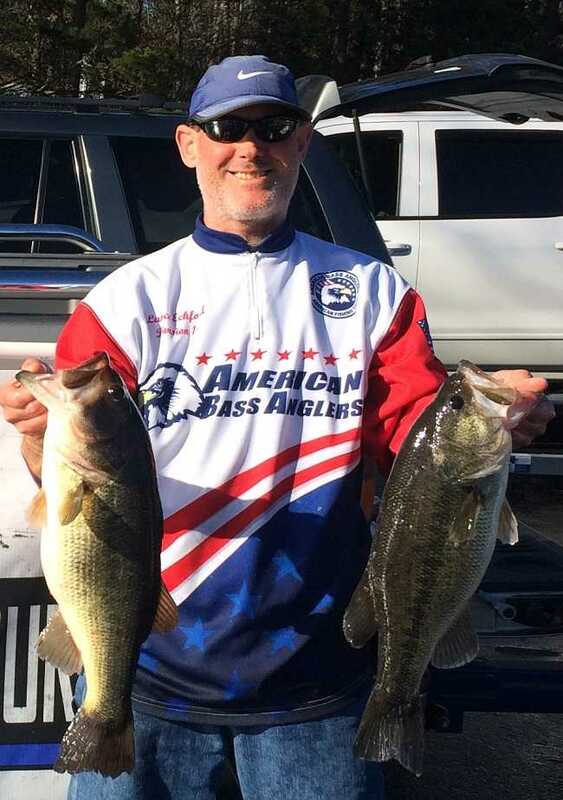 A thens, Al - Kevin Toler of Statesville, NC won the American Fishing Tour division 14 tournament on Lake Norman in Mooresville, NC with five fish weighing 13.31 pounds held on 03/31/2018. It was another cool start on Lake Norman with temperatures in the upper 30’s and winds out of the NNE at 5 to 10 mph, shifting to SW at 5mph about mid day. 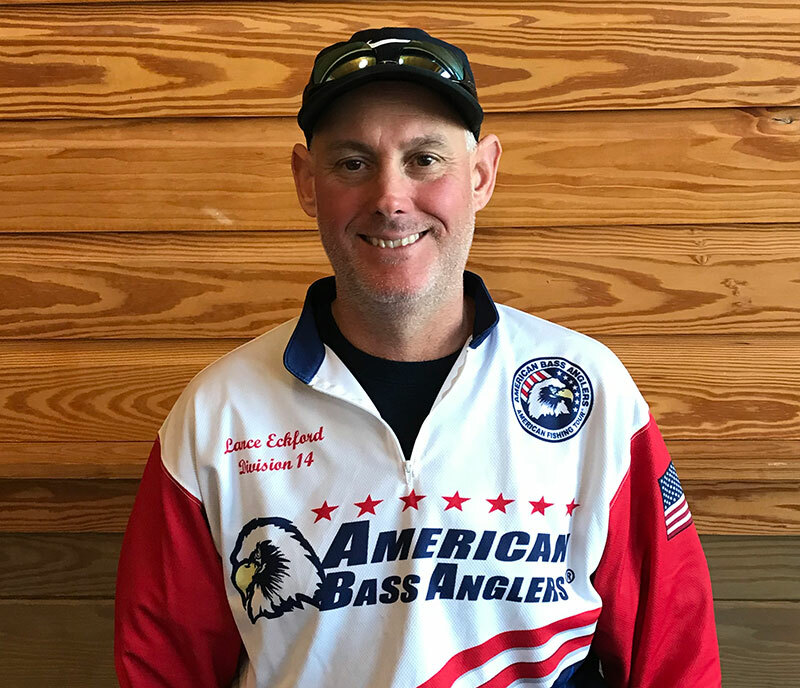 Athens, Al - Lance Eckford of Troutman, NC won the American Fishing Tour division 14 tournament on Badin Lake in Stanley County, NC with five fish weighing 17.20 pounds held on 03/03/2018. 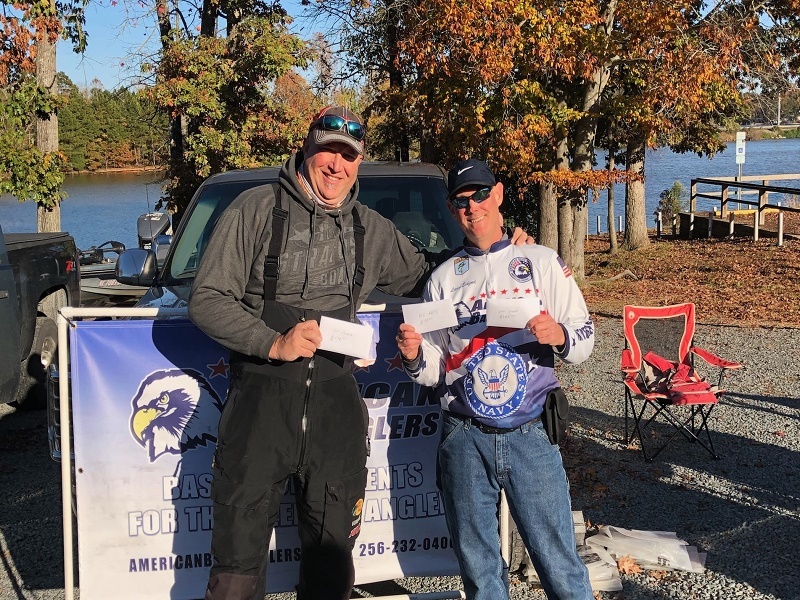 Athens, Al - Kevin Thomas won the RAM American Fishing Tour division 14 Championship on High Rock Lake in Lexington, NC with five fish weighing 8.06 pounds held on Nov 4, 2017. 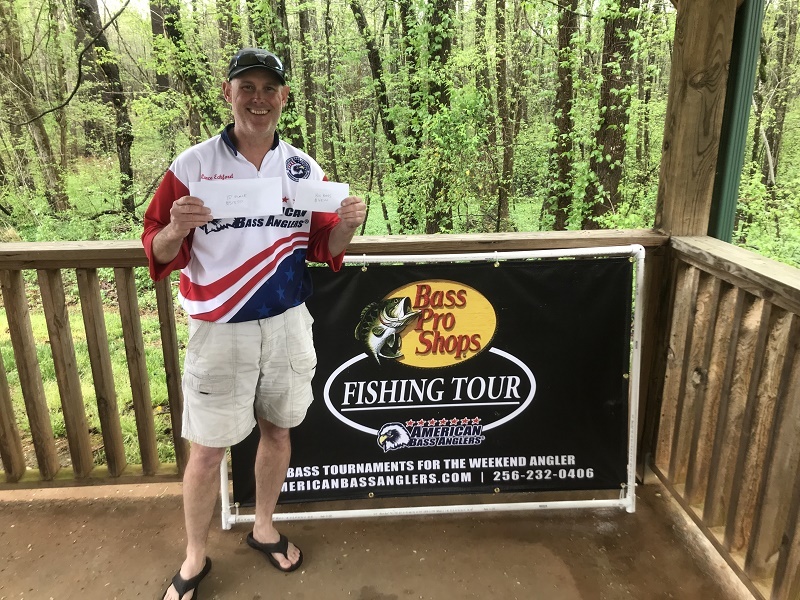 Kevin Thomas of Indian Trail, NC is one step closer to the RAM American Fishing Tour National Championship with a first place win on High Rock this past weekend. Thomas weighed in five bass, which weighed 8.06 pounds. Second place went to Jack Fraser of Rock Hill, SC with three bass weighing 6.80 pounds. 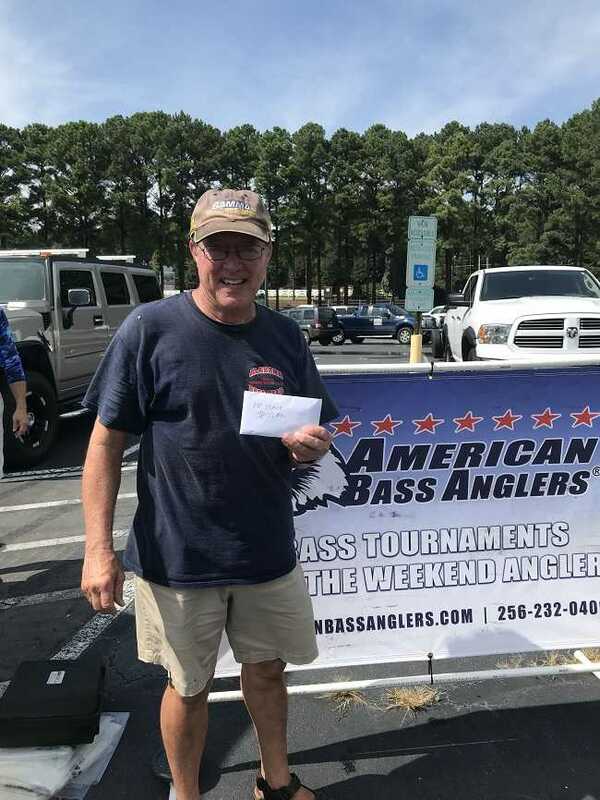 Lance Eckford of Troutman, NC won the RAM American Fishing Tour, presented by American Bass Anglers North Carolina – Charlotte Division 14 tournament held September 16th ,2017 on Lake Norman. Blasting off from McCrary Creek Access Area Lance brought back a five fish limit that locked in the scales at 8.74 lbs. Lance took home $249 for his first place finish, and moved one step closer to the RAM American Fishing Tour National Championship. 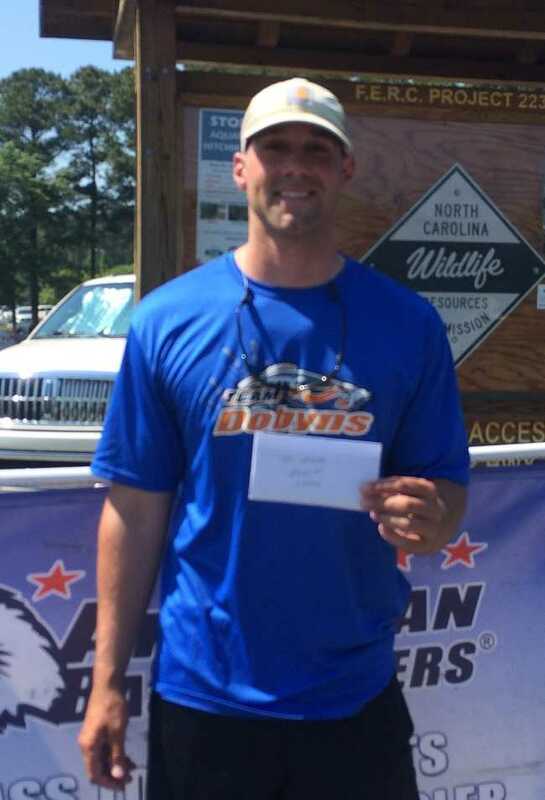 Don Sprinkle of Lexington, NC won the RAM American Fishing Tour, presented by American Bass Anglers North Carolina - Charlotte division 14 tournament help September 17th, 2017 on Lake Norman. Blasting off from McCrary Creel Access Area near Mooresville, NC. Don brought back a five-fish limit that locked in the scales at 6.64 lbs. He took home $245 for his victory and moved one step closer to the RAM American Fishing Tour National Championship.